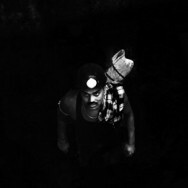 An underground mine in Khudia belonging to Eastern Coalfields. Jharkhand, India. July 2017. India is currently the third largest producer of coal in the world. According to the country’s Central Electricity Authority, there is enough coal being mined at present to keep power plants running till 2022. Under the Paris Agreement – a United Nations framework on tackling climate change – which India has signed and ratified, the country agreed to limit fossil fuels to 40 percent of its overall energy usage by 2030. At present, fossil fuels make up over 70 percent of India’s energy usage, and the country continues to expand its coal-powered electric grid. 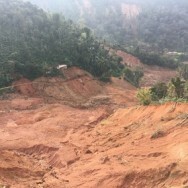 The government claims that such expansion is necessary for India’s development needs, arguing that developed countries must bear a greater share of the cost of transition to clean energy. 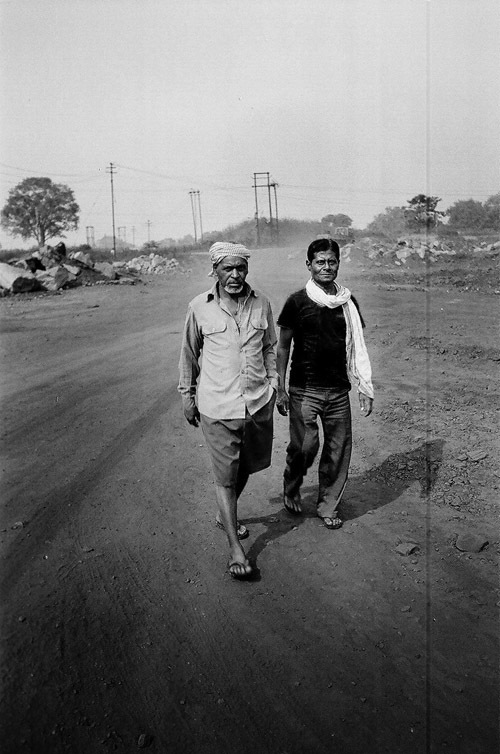 However, India’s argument for improving the lives of its citizens through fossil-fuel-powered development is in stark contrast to the actual working and living conditions of thousands of rural migrant workers toiling in and around India’s open-cast mines where the ground is excavated for ore. Jobs in the mining sector often pay minimum wage only, and as the industry hits critical mass, batches after batches of workers are laid off at whim, leaving many to scavenge for scraps to sell. 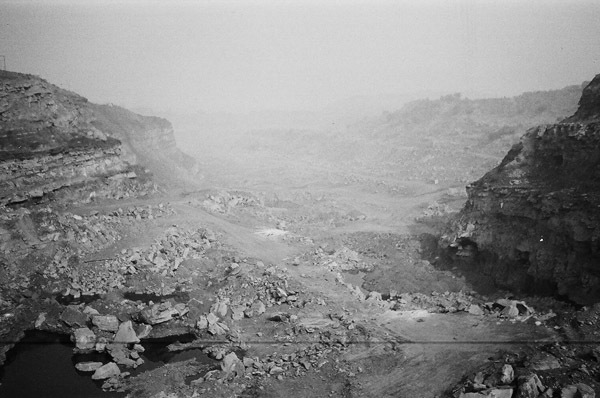 These photographs, taken between 2015 and 2017 across industrial sites in the states of Jharkhand and West Bengal, seek to expose the underbelly of this development: the exploitation and disposability of the workers, in juxtaposition with vast expanses of land scarred by open-cast mines. 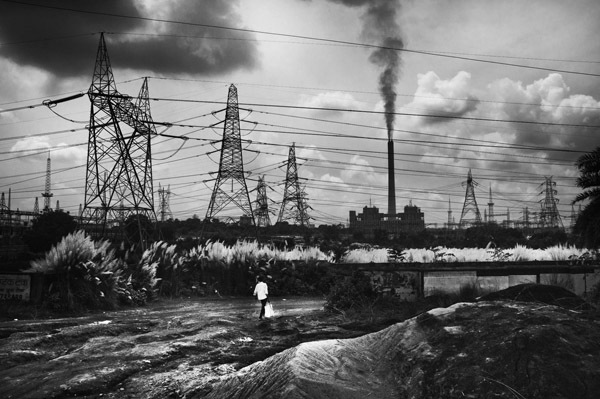 The air around the Tayo Rolls coal factory in East Singhbhum is difficult to breathe. But the factory is one of the few sources of daily employment for the workers from place Raghunathpur. Jharkhand, India. August 2016. 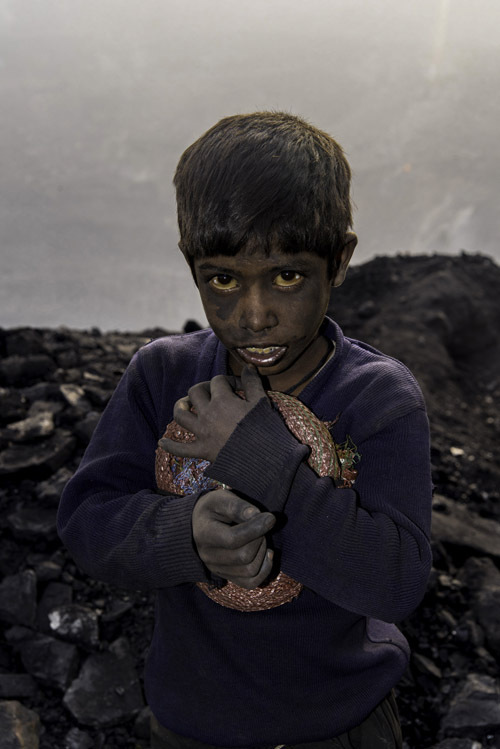 A boy in the coal fields of Jharia, likely from a family of migrant workers from neighbouring farming communities. Jharkhand, India. November 2017. 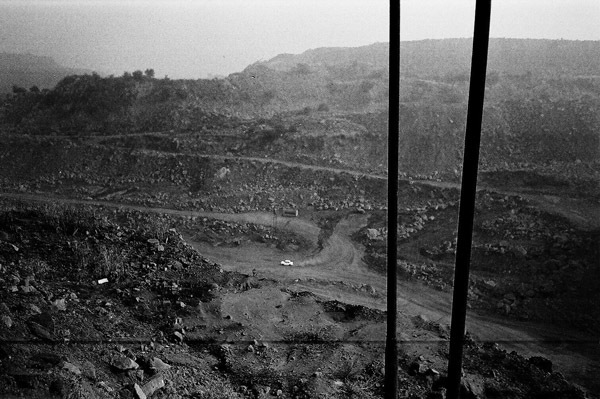 An open-cast mine in Pathardih, Dhanbad. Jharkhand, India. June 2015. 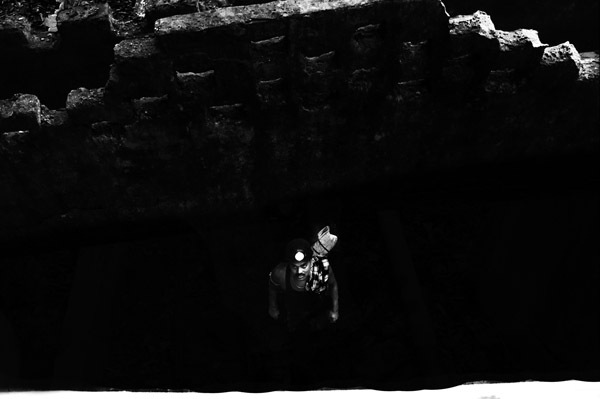 An exhausted worker takes a quick break in the underground mines of Lodna, Jharia. 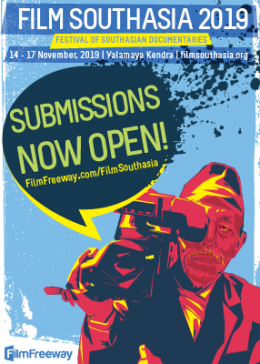 Jharkhand, India. July 2015. 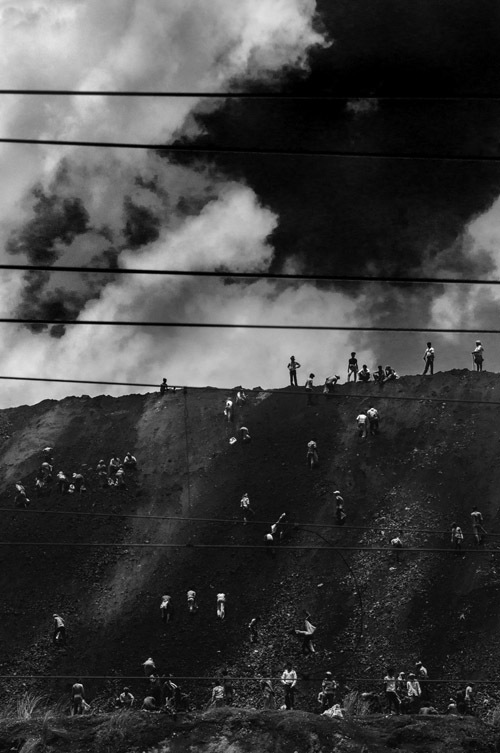 A family of four scavenge for their daily requirement of coal from the leftovers of open-cast blasts in Jairampur. Jharkhand, India. June 2015. 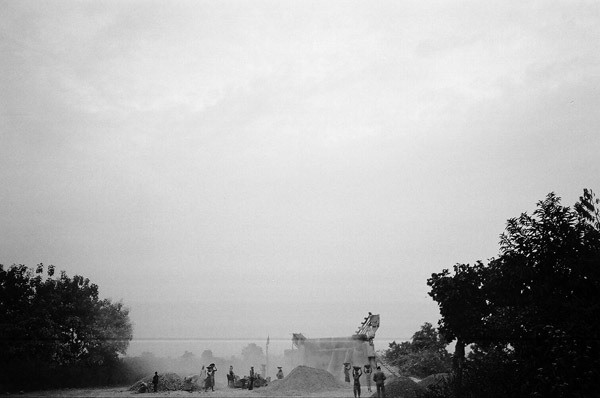 Workers engaged in stone crushing between the Jharkhand-West Bengal border. June 2015. 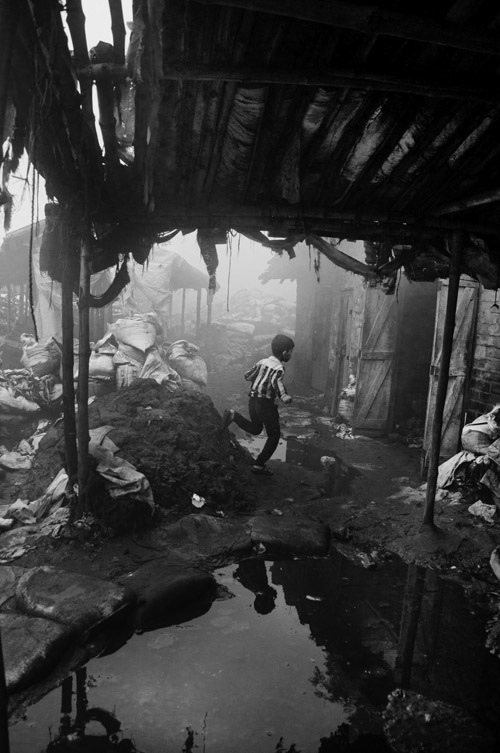 A child of a worker plays amidst the waste left by the steel industry in Adityapur. Jharkhand, India. February 2016. 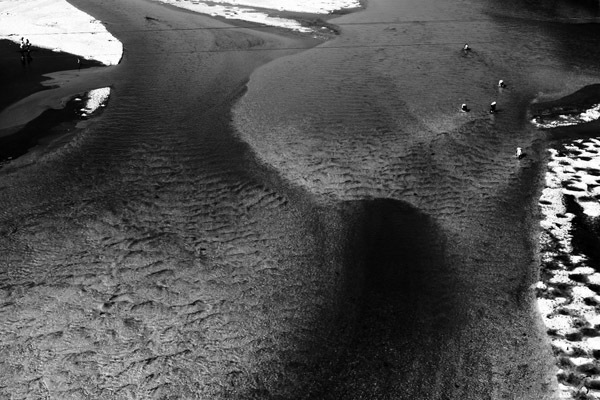 Workers scavenging for coal at the base of the river bed near the Telmachho Bridge. Jharkhand, India. February 2016. 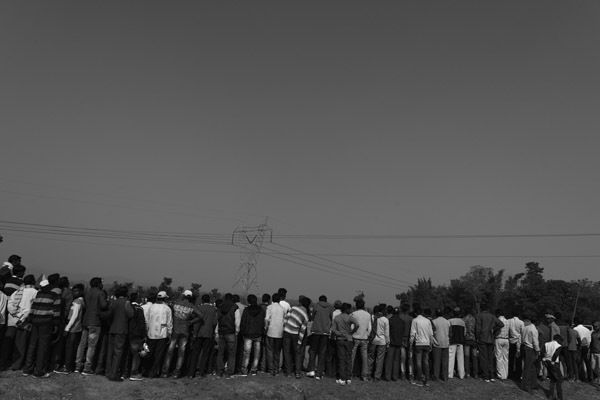 Workers in Chas gather to collect their daily wages. Jharkhand, India. February 2016. 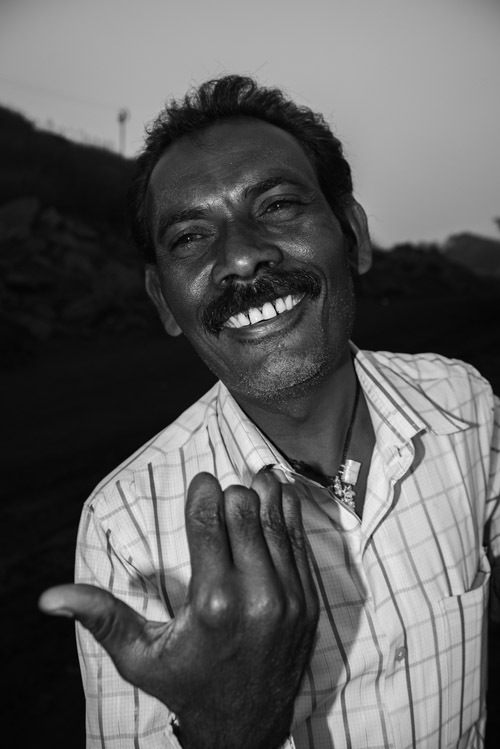 Ram Kumar, a worker for one of Dhanbad’s notorious ‘coal mafias’, lost his fingers while tying an explosive during the process of open-cast mining in Jairampur. Jharkhand, India. June 2015. 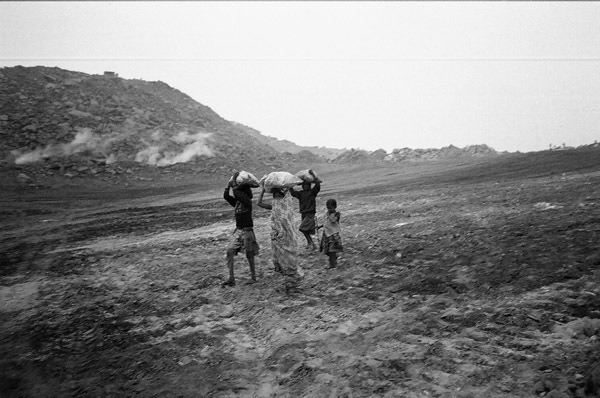 A lack of public transportation means that a miles long walk is a daily ritual for workers trying to reach the mining yards in Jharia. Jharkhand, India. June 2015. 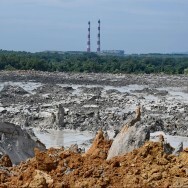 Villagers from Waria scavenge for slag iron behind the Durgapur Steel plant. A bag of slag-iron ore can be sold for less than two dollars. West Bengal, India. February 2016. 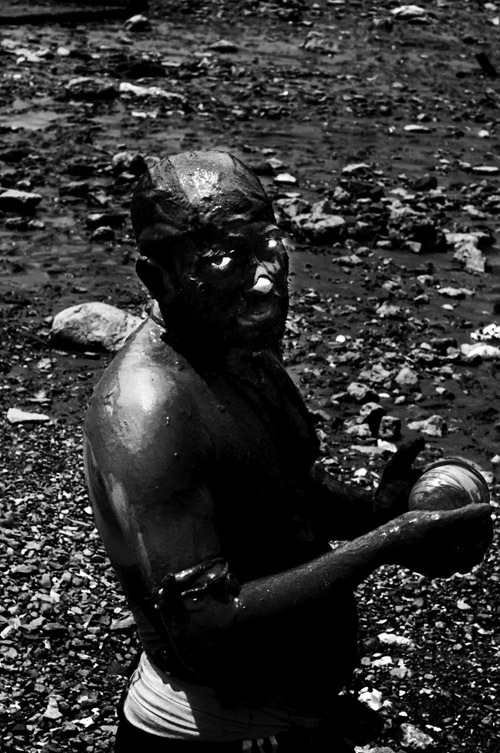 A worker cleans himself in a dried-up stream in Jharia. Jharkhand, India. February 2016. A mining chief conducts his evening inspection of the Kenduadih open-cast mines from the comfort of his Ambassador car. Jharkhand, India. June, 2015. 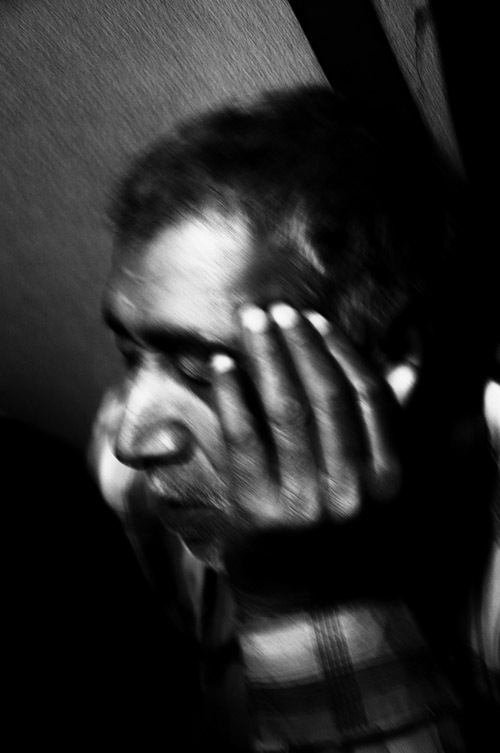 ~Abhishek Basu is as a freelance photographer and works for various publishing houses on experimental storytelling techniques, book design, curation and multimedia. In 2017, he received a scholarship from burn magazine to attend a workshop in Puerto Rico with Magnum photographer David Alan Harvey. He is currently working on a book titled Ellipsis. Wonderful article, well described and well photographed.